There is a security checkpoint to reach the Western Wall, the holy site of prayer in Jerusalem’s Old City. Shiite pilgrims in Iraq, whether on their way to Basra or performing rituals in Karbala, are surrounded by uniformed soldiers. Synagogues, mosques, churches and other houses of worship are routinely at risk of attack in many parts of the world. But American worshippers are not immune to the risk of attack that has struck so often in many places. Eleven people died in a Pittsburgh synagogue last month when an anti-Semitic gunman burst inside, raging against Jews. It ranked among the deadliest attacks on Jews in the United States, a country founded on religious tolerance and a spirit of welcome in houses of worship. 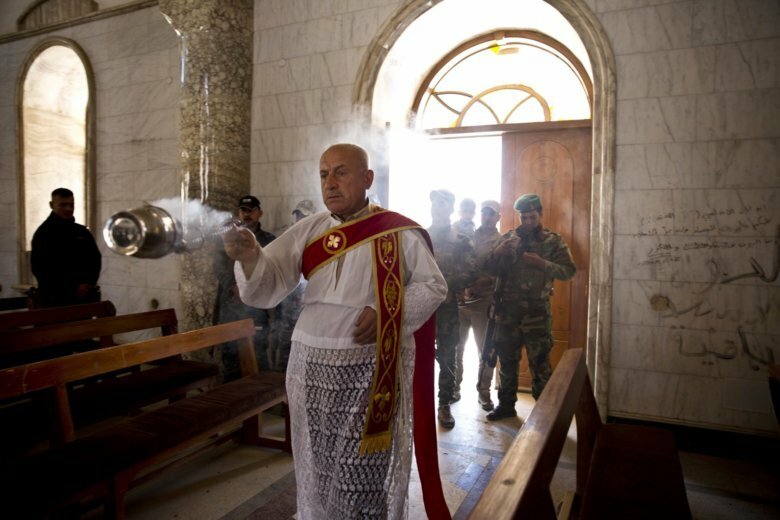 In Iraq, houses of worship have been favorite targets for the warring parties since the 2003 U.S.-led invasion that toppled Saddam Hussein, unleashing a widespread violence and a sectarian war. Since then, Iraqis have welcomed the security blanketing mosques, churches and temples. “I feel comfortable when I see security guards at the mosque gate and their presence brings tranquility while praying,” said Fadhil al-Kinani, a 45-year old owner of a construction materials shop in Baghdad’s eastern district of Sadr City, who performs the five daily prayer services in a nearby mosque. “I agree that such places must be free of arms, but in the Iraqi context it is a must and I see no harm in their presence since they are stationed outside the mosques given the unpredictable security situation,” said Al-Kinani, a father of four. But it’s not just the Iraqi context. In Denmark, a Jewish security guard protecting the main synagogue was shot to death in 2015 after blocking an Islamic extremist gunman trying to get inside. Guards are routinely posted outside services and rituals for a variety of religions in Afghanistan and Pakistan, yet attackers still find ways to kill. Shiite cleric Mir Hussain Nasiri bemoans the cost ever-more-intrusive security has had on congregations. For most worshippers the peace that they once found in their mosques has been replaced by fear. “Even the sound of a tea cup dropping and breaking will frighten people. Immediately they think maybe it is an attack,” he said. There are metal detectors outside the Coptic Church that Dina Atef frequents, but she’s dubious that they serve much of a purpose. Sinan Salaheddin in Baghdad; Amir Shah in Kabul, Afghanistan; and Menna Zaki in Cairo contributed.